Soak chia seeds in part of the water for approx. 30 min. 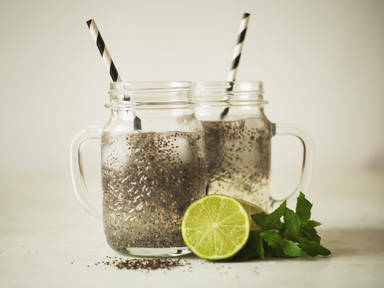 Add lime juice and agave nectar to chia seed water. Stir thoroughly and then add to rest of the water. Pour into individual glasses with ice cubes. Enjoy!